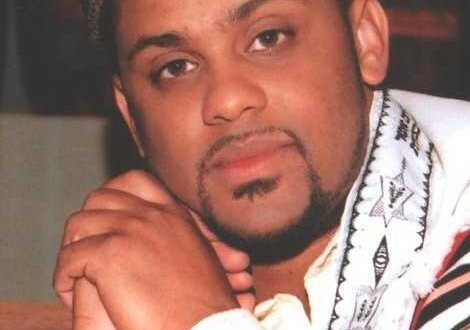 He and the Kosher Gospel Singers will bring his music Sunday to Pinecrest’s Bet Shira Congregation — the site of Nelson’s first professional performance, more than 12 years ago. Since then, Nelson has performed on The Oprah Winfrey Show and before President Clinton. 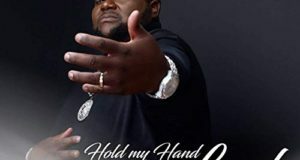 He has finessed his style of mixing Hebrew and English to sing gospel music with a Jewish message. His family traces their ancestry to Senegal, Africa. They are Orthodox, and he grew up eating kosher collard greens (cooked in turkey, not swine) and macaroni and cheese (but either before dinner or with fake cheese, so not to eat milk and meat together). So he started researching gospel and discovered that it was merely the bridging of African culture and religion. 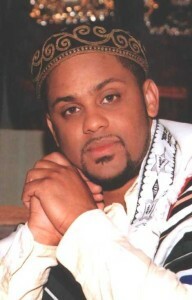 ”What I do in Judaism is just marrying an African style of music with Hebrew. And if you know history real well, it’s not even odd at all. It’s only odd if you’re looking at it from a European prospective,” Nelson said. And so he became a gospel singer. Now he performs around the world. Some people, he said, compare him to a reincarnated Mahalia Jackson. But for him, success is about making a connection with people, not about celebrity or praise. ”If someone’s uplifted by my music, then that’s successful,” he said. He wants his music to educate people, and he thinks his unique style teaches people about what it means to be Jewish. The most frustrating part of being a black Jew, he said, is having to explain himself; he said he can only hear so many jokes about Sammy Davis Jr.
Once, after a concert, a woman came up to him and asked if he had ”Jewish blood,” he recalled. A few minutes later, he’s on to the musicians and singers he plays with — some black and some white. 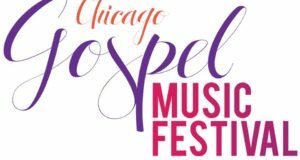 • What: Concert by Joshua Nelson and the Kosher Gospel Singers. • Where: Bet Shira Congregation, 7500 SW 120th St., Pinecrest. • Cost: $36; student tickets $12; sponsor and patron tickets cost $180 and $72 respectively and offer reserved seating and a special reception with Nelson after the concert. • Info:http://www.betshira.org/ or call 305-238-2601. TBGB NOTE: Joshua Nelson’s website is www.joshuanelson.com. Amazing –you have to hear him do “When the Saints Go Marching In” in Hebrew, complete with bluesy gospel accompaniment! Those of you familiar with the 1950s vocal group the Flamingos (“I Only Have Eyes for You,” “Mio Amore”) will be interested to know that the original members were black Jews from Chicago. They credited their haunting, minor key harmonies to their Jewish musical upbringing. 1)does he play at “messianic” congregations? 2)what are his views on the man the christians worship? 3)why does he make the mistake of saying that orthodox jews would rather “do a ritual”? this is untrue and insulting. 4)the word “gospel” clearly indicates christian message. if he is infact only jewish and not “messianic” why would he choose a label that is confusing? 5)the music he plays is characterisitc of black american christian church music…is he concerned that it might draw some jews away from judaism and towards christianity? Most familiarity w/ the term gospel is the definition of the spreading of the “Good News”, which is a christian concept. The words Kosher Gospel are confusing. I think that this is what Mr. Nelson is trying to accomplish — a little more ecumenism and a little less separatism! I know this is an old post. I may possibly be out of line, but will try to answer some of the questions that have arisen based on other interviews and articles I’ve about Mr. Nelson. I do not know him personally. I think when he says that orthodox Jews would rather “do a ritual”, I think he’s referring to the fact that his Judaic background is not based rabbinical judaism which does vary slightly in cultural practice from Torah. For example, celebrating the New Year in the Fall when Torah says the New Year is Nisan. The word gospel is an indication of a genre of music, not necessarily to the faith of Christianity. R&B also has it’s roots in gospel music. If you consider the word gospel to solely be reflective of the style, then it isn’t confusing. I think one’s understanding of faith draws them to a place; not the music they listen to. I am a Jew and just heard Joshua Nelson play at a Jewish Music Festival in Oakland, California. I had the best time and so did the audience. Please read my review of the concert, maybe it will shed a little bit of light onto what Nelson is doing and how folks are receiving his music. 1. I have never played in a messianic congregation before, but if I were invited. I would accept. People have the choice to worship who they want. 2. I think Jesus was Amazing. From his writing, I think Jesus would have like to bring all people together in a Kibbutz like society, maybe socialist, which would result in peace and altruistic behavior. The idea that Jesus, a man, would be the focus of worship is a foreign element for me, but its works for those who have faith in it. 3. The word “Gospel” is a Greek word that means “Good News”. The idea that Hebrew prayers can be sung and prayed with the help of powerful music, the style (called Gospe) is definately GOOD NEWS!! Its not confusing. Its confusing to the uneducated. If something is Kosher, its Kosher, DUH! 5. Traditional Gospel Music became as a result of the fusion of European hymns, and the African REINVENTING THEM, using their own music and rythymns brought from Africa. Every NEW Artform in America is matter of reinterpretation of Africans. Jazz,Blues,Rock and Roll, R & B. Dont get me wrong, Native Americans have their music too, but its never made an impact on Amercian Music. B. Actually, We have been getting a lot of Conversions to Judaism. Those Jews who have been going to churches to get some good music, now have no reason to stray. Also, again, People have the right to choose whatever religion they want to. If I had to choose between Observing Passover and all its rituals or fighting for Freedom for the people of Darfur, most Orthodox would choose keeping Passover and all its rituals. As they DO!. Through reform Judaism, I have learned that the rituals are symbols of the element it was made to represent. So fighting for Freedom for everyman in my opinion, is the the reason for the ritual. If this offends you, Sometimes the truth hurts. Get over it. To those of you that have made comments about “Kosher Gospel” The presentation of the music is about the African Cultural Music and should not be confused with Christian Music. Gospel Music in the Black tradition, came as a result of the fusion of Africanisms. I am a Black Jew and I did the same thing. NO, I wont be changing the name, its time that some folks learned that the world is bigger than its stereotypes and lack of education. I have read that Mr. Nelson does not sing songs that exalt or mention the name of Jesus, the Christ. Yes, good news is the meaning of the gospel. In it’s meaning is is connected to Jesus Christ being the messiah; that is the good news. As I understand it Joshua Nelson cannot be a gospel singer in its true form. He is more akin to rock and roll as cokmpared to rythym and blues; derivitaive though not the same. He may think that Jesus is amazing but he will not sing of him as savior and Christ which is the cruz of the good news. He seems to have studied Mahalia Jacskon’s intonation and phrasing. His resemblance is uncanny. I would personally like to say a few things concerning Joshua Nelson and some of the comments! I’ve been following Joshua Nelson since he sang one of Mahalia Jackson’s songs at Bishop Carlton Pearson’s AZUSA Conference years ago. I thought he was a phenomenal singer then and still do so now! I was a non-trinitarian, non-jesus believing, one g-d believing hebrew pentecostal! That’s how I grew up! Little did I know that most of what we did stemmed from Judaism! I thought all my family was crazy because their services were unlike the temple service that I experienced. Although we weren’t considered Jewish, I still very much identify with Judaism and Hebraism on a whole! I underwent a formal orthodox conversion myself just so that I could be legit, however, I do not cast down my roots! Personally I understand what Joshua is doing as both sets of my great grandparents were Jewish and neither of them sang songs the way that they are sung at any of the Temple’s that I’ve visited! Joshua Nelson DIRECTLY influenced my decision to fully convert (as my mother is Baptist and my father was the Bishop of that particular Hebraic Temple) to Judaism and become “legal.” How did he do this, I realized that I didn’t have to give up my personal style of singing. I thought if I joined in with Judaism that I would have to give up MY MUSICAL STYLE that is characteristic to my experience as a black woman from the deep south! When I found out I didn’t, I was further pushed from Christianity and could accept totally that I could convert to Judaism. I am Jewish and as I am Jewish I am also black and my culture dictates a certain type of music just as much of the Jewish music I hear in most synagogues now are directly related to a Russian cultural perspective! I believe that if you’re confused it is totally because you choose to be! 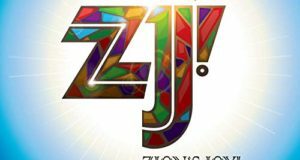 Do you have a contact name or someone who can confirm if the following “Kosher Gospel” CD’s are any longer available: “An Evening Prayer” and “The Best of Joshua Nelson”? I have tried to contact the name’s and numbers that were once provided on the website with no succes. It’s my understanding these are great CD’s and having known Mr. Nelson in his younger years I’d like to support him with the purchase of these items if possible.